In a canned demo, Kelly chose a sample debate topic: “The sale of violent video games to minors should be banned.” The Debater was tasked with presenting pros and cons for a debate on this question. Scanned approximately 4 million Wikipedia articles, returning ten most relevant articles. Scanned all 3,000 sentences in top ten articles. Detected sentences which contain candidate claims. Identified borders of candidate claims. Assessed pro and con polarity of candidate claims. Constructed demo speech with top claim predictions. Ready to deliver. It then presented three relevant pros and cons. 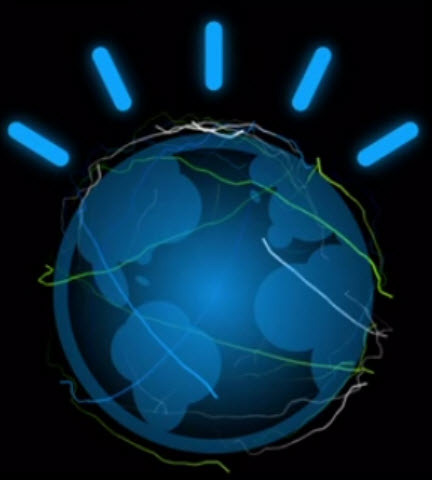 “Companies like pharmaceutical companies are using Watson for discovery,” said Kelly. “And the reason is, Watson can rapidly find the edges of human knowledge. It goes out, reads everything, understands what we know,” and can then suggest needed research areas. “So Watson still needs human beings to work collaboratively with,” said moderator Richard Sandler, Executive Vice President, Milken Family Foundation. “As of today,” Kelly replied, apparently in jest.